Click here to read my other book reviews. P.S. : The pictures have been borrowed from internet with thanks to the owner of this picture. India faced public descent and dissidence in the last few years of the previous government, ultimately leading into the change in government with a thumping public mandate. The underlying cause was not the regular question of Roti, Kapda aur Makaan (food, clothing and shelter), but this time it was about corruption, scandals and failure of decision-making. And that was a paradigm shift in the way elections happened in India. This book is about the one agency that provided the public with the educated assessment of the integrity of the application of public funds. And more than that, it’s about the individual who contributed to usher in a new era for this agency – the office of the Comptroller and Auditor General of India. Vinod Rai, the man behind the steering wheel, has been considered one of the most effective CAGs that India has seen since independence, and it’s not without a reason. He might not be a great story-teller and might not know the tricks of sensationalization, but he is definitely good with presenting the chronology of the facts that he lays down in the book. He has elaborated on five of the biggest audits conducted in his tenure, which turned out to be the most controversial as well, eventually bringing down the mighty Congress government of 10 years. While the cases of 2G scam and Coal-gate scam highlighted the compulsions of turning blind eye in a coalition government, those of Commonwealth Games, allocation of oil fields and the failure of Air India simply highlighted the ineffectiveness and sheer moral corruption of the government of the day. In my view, Rai withstood immense pressure and showed great courage in going ahead with these audits in a period when accountability was being put aside to pave way for ‘crony capitalism’. Rai has articulated his thoughts very clearly and provided irrefutable evidence in the book for his claims, making it an interesting read. One thing though that I found missing in the book was the answer to a key question: Why were all the audits conducted for a period that began after 2004? I am a big AB Vajpayee fan, but I would have been happier to hear from Vinod Rai that these issues (eventually leading to scams) were handled much better in NDA era of 1999 to 2004. The 2G spectrum, coal mines allocation, Air India losses, etc. were long-standing issues faced by India that stayed as-it-is during NDA regime as well. After reading the book, I cannot be confident that Rai was truly an unbiased auditor who was merely doing his job. Nevertheless, this book is a good read and I would recommend this to a reader who wants to understand the factors that changed the political battlegrounds in India. A friend of ours has been asking us to read this book ever since it was published, but we’ve been delaying it for long, unless one day I bumped into the e-version of the book on my new possession – Kindle Paperwhite. 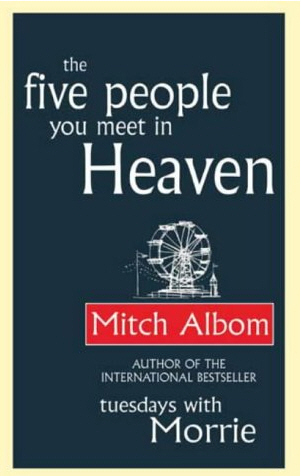 My expectations from this book were that of a light-hearted, easy-to-read book that will provide me something to cheer. And while it did all that, it did it in its own unique way of keeping you on toes about what is it to follow. The story is that of a hundred-year old man, Allan, who has miraculously escaped from the old age home just because he didn’t like the warden there. As he’s trying to catch the bus to any possible destination, he meets this young arrogant guy who asked him to take care of his bag while he was going to take a leak. But the old man, missing the adventure in his life, decided to steal the bag. This kick-starts a series of incidents that result in Allan making many new friends, killing two goons, befriending an elephant and making best friends with a Police Chief Inspector and the boss of a known criminal gang, all at the same time. The story alternates between the present and the past of Allan’s life in a beautiful manner. When you read it, you will come across many incidents where you’ll be perplexed as to their relevance to the story. But trust me, they all add up. In a nutshell, if you are not reading it as a one-day, quick-read book, then it’s better you spend that time with other books. Such high expectations from the book and it turns out to be the story of someone who did not have any motivation in his life; or any commitment for that matter. I picked this book thinking it will provide me some nice insights into life, since I’ve been facing an early onset of mid-life crisis at a relatively early age of 31. But as it turns out, I was better without reading this book. This is essentially the story of an old man – Eddie – who works at a local fun park and dies while saving a young girl in an unfortunate accident on one of the rides in the park. The author has hypothesised that though human beings live their own lives, independent of each other, but we are all linked together, and no story is just one’s own. So, in line with that hypothesis, Eddie (or rather his soul) meets a series of people (or rather souls) before heading towards the heaven. Each of those souls has been linked to Eddie when they were alive, and had a story to tell to Eddie. And that’s where I have my issues with this book. All those storied failed to impress me with their content, intent and message. The stories do talk about the value of relationships in bits and pieces, but that’s about it. It just goes on to prove that the life that Eddie spent on earth was pointless and hapless, and that he could have done much better. I would recommend this book to those who love finishing books in a day’s time and moving on without taking away much. It can be a good read if you are not expecting any outcomes or any messages from it. I’d give it a 6/10. I was born in October 1984, and those who know a little about Punjab and about India will know that it was the month when Indira Gandhi, the then Prime Minister of India, was murdered by two of her guards – Sikh guards – apparently to avenge the infamous Operation Blue Star. I have grown up in the Punjab of those times when for the first few years of my life, the state was under President’s Rule. There were several incidents that I’ve heard from family and friends who were either taken off buses to be harassed or had taken to wearing turbans to avoid trouble. 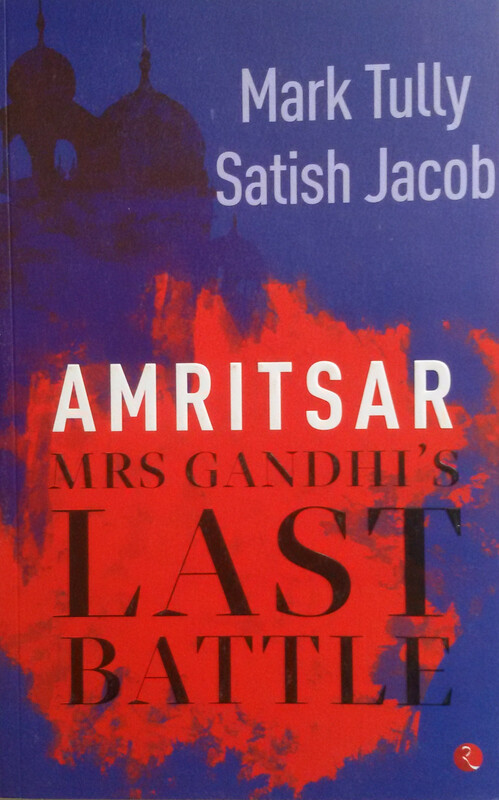 Mark Tully and Satish Jacob, in their masterpiece – Amritsar: Mrs Gandhi’s Last Battle – have given a very objective view on the background of this Punjab where my contemporaries and I grew up. Being BBC correspondents themselves that time, both Tully and Jacob had witnessed the Punjab story unfold in person. This book is an intriguing take on the events (if you may call them so) that took place in Punjab right after Indira Gandhi was ousted by the JP movement right up till the Army attack on the revered Golden Temple/Akal Takht complex in the infamous Operation Blue Star. The book starts with building a context around the Sikhs and their grievances with the Government of India, which were later to become the major point of contention in the entire conflict. The book then dwells into the now-public theories of the creation, support and rise of Sant Jarnail Singh Bhindranwale facilitated tacitly by none other than Sanjay Gandhi and Giani Zail Singh. For the first time, I was able to understand the political compulsions of the Akali trio of Harchand Singh Longowal, Gurcharan Singh Tohra and Prakash Singh Badal in this disastrous turn of events, and how they tried to manipulate, only to fail, the increasing alignment of Punjab’s Sikhs to Sant Bhindranwale. But more than everything else, the book provides immense clarity and objectivity to the whole decade that I regard as the lost decade for Punjab – once regarded as the most prosperous state in India. This book, written in 1985, provides a full account of most of the incidents, events and circumstances of those times, leading up to the Operation Blue Star and subsequently Mrs Gandhi’s assassination. I would have liked a little more coverage on two of the key characters in this story – Indira Gandhi and Prakash Singh Badal. While the book mentions a lot about Gandhi, it doesn’t explain the reasons why she kept rejecting the negotiated agreements between Centre Government and the Akalis, that could easily have prevented the progress of terrorism in Punjab. The authors also haven’t talked much about Badal in the book, which I know from my elders, had very clear political ambitions and was the primary reason why Zail Singh created THE Sant Bhindranwale in the first place. I will summarise this review by saying that this book is an interesting and intriguing take on what conspired in Punjab about three decades back that changed Punjab forever. I will strongly recommend this book to the Punjabis of my generation in particular to understand where all the parties falter and how Punjab found itself caught in the situation that left permanent scars in its illustrious history. 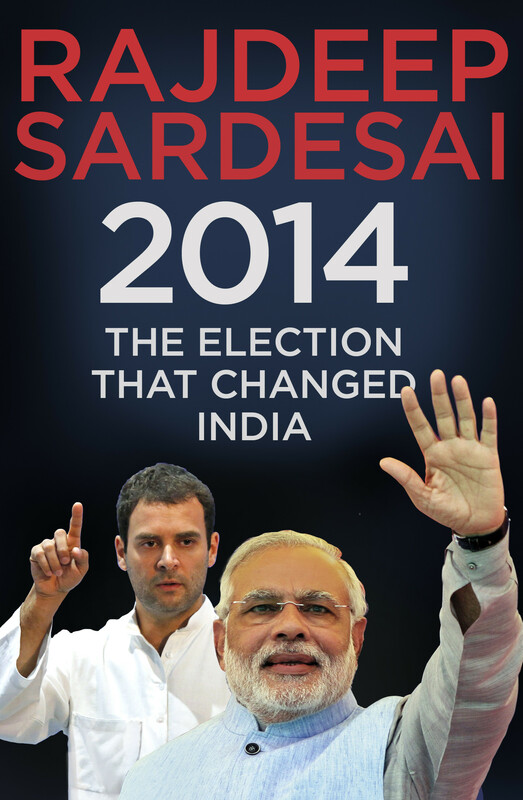 However much do I dislike his style of journalism, I found his style of writing very intriguing in his debut book – 2014 The Election That Changed India. His first-hand account of what conspired and how it happened in one of the most challenging, yet innovative elections of the world’s biggest democracy, this book will definitely be used as a reference for contemporary political historians. In his book, Rajdeep has covered the entire landscape of Indian politics, from “Left” to “Right” and in-between, from UPA to NDA to Third (& Fourth) Front, from “Didi” to “Behenji” to “Amma” – he has it all. One of the key changes that happened in the Indian politics in 2014 was that this was everybody’s election, and the level of polarisation was unprecedented. Parallels can be drawn with the Janata Party government formed after Emergency, but they will never be able to match the hype that the 2014 election created. This election saw the use of modern technology, analytics and social media in almost a maddening style by the cash-rich BJP. In this high-paced election campaigning and run-up to the highest post in India, media played a crucial role, and I believed that only someone from the media could ever chronicle the events accurately. And Rajdeep, in my opinion, has done that to a highly satisfactory level. The book is not without its flaws, though. Rajdeep has, at numerous instances, tried to break himself free from some of the most embarrassing moments of his career – Modi interview during Vivekanand Yatra and Raj Thackrey interview. Very subtly, he tries to reassure the reader that all is well between him and these politicians, and that he can always give them a casual call even in the late hours. Only he or the politicians know how much water does that statement holds. Also, his obsession with comparing politics with cricket annoyed me a lot. Overall, I believe the book is a very interesting account of one of the most ferociously fought elections of India. If you ever participated in those heated political discussions in early months of 2014, I will highly recommend you to read this book. C lick here to read my other book reviews. Click here for my Goodreads account. India recently observed 6th anniversary of the unfortunate event of 26th November, 2008 when just 10 terrorists from across the border had held the world’s fourth largest city to ransom. We looked back at the incident when innocent families at CST were shot dead by Ajmal Kasab, who somehow became the face of those attacks – the attacks on India. However, the most shocking picture from that attack was the one with the dome of the Taj Mahal Hotel set on fire. 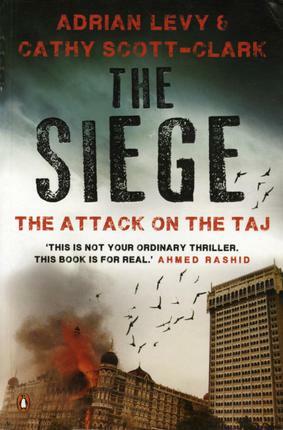 The Seige, written by Adrian Levy and Cathy Scott-Clark, takes back its readers to those unfortunate 68 hours starting from the evening of 26th November, 2008. Every incident explained in this book is a real incident from those 68 hours, and that is what gave me goose bumps. The narrative of the story is based on the multiple interviews with the survivors, policemen and journalists, complemented by investigation reports and site visits. So, this is as real as it can get. While I am not a great fan of the writing style of the authors who have jumped between multiple characters, incidents and places in just a few pages creating confusion, I liked the details that they went into. The book starts with the David Headley story, leading up to Lashkar-e-Toiba and finally to the Taj. For me, there were times when I felt angry about the incompetence of the Indian security forces to manage just ten rats. There were other times when I put down the book to do my google search and reconfirm if all what I’m reading is actually true, because it seemed to be fiction. Overall, I liked the storyline, I liked the research and I liked the detail. But I think it could’ve been a little less confusing at times, and that it would have gone a little beyond just stating the facts and incidents.